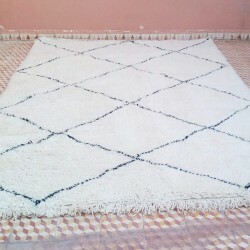 Beni Ouarain rug of Morocco 200 x 310 cm, hand-knotted by Berber women in the Middle Atlas. 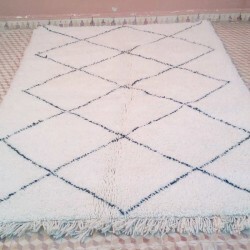 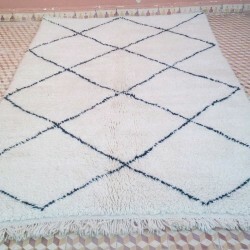 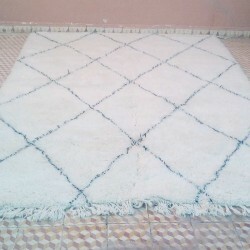 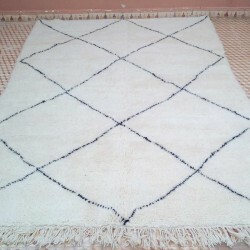 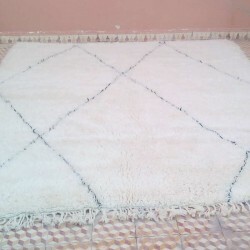 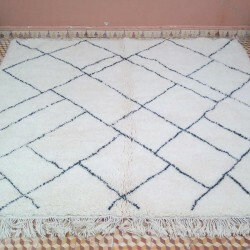 A tribal rug made of sheep wool. 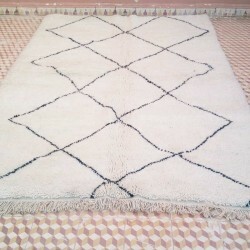 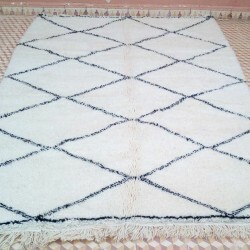 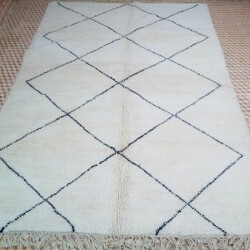 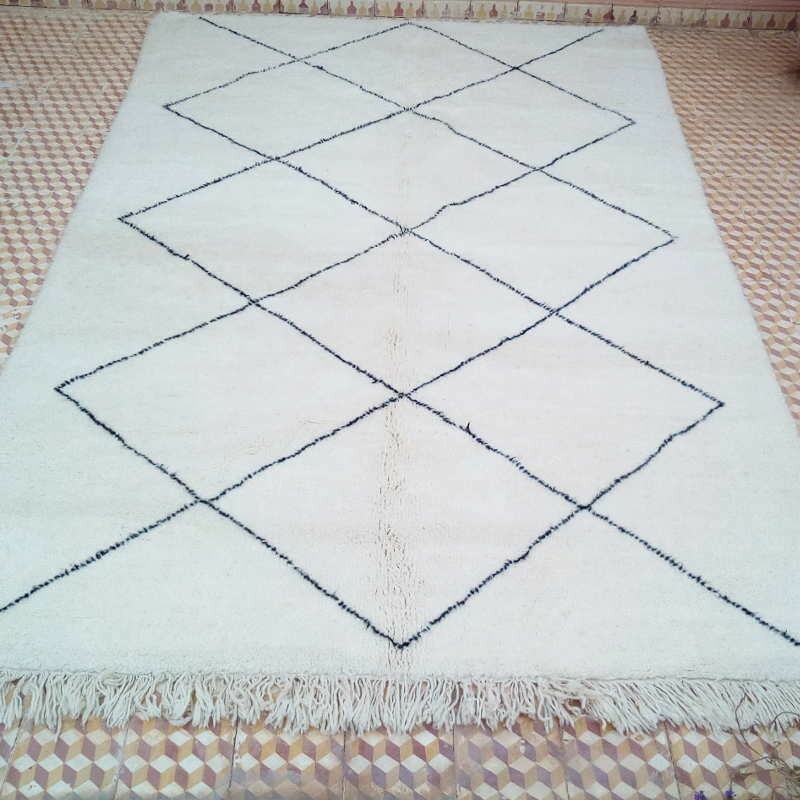 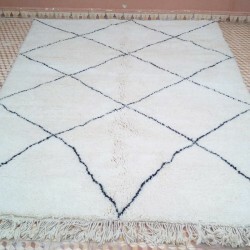 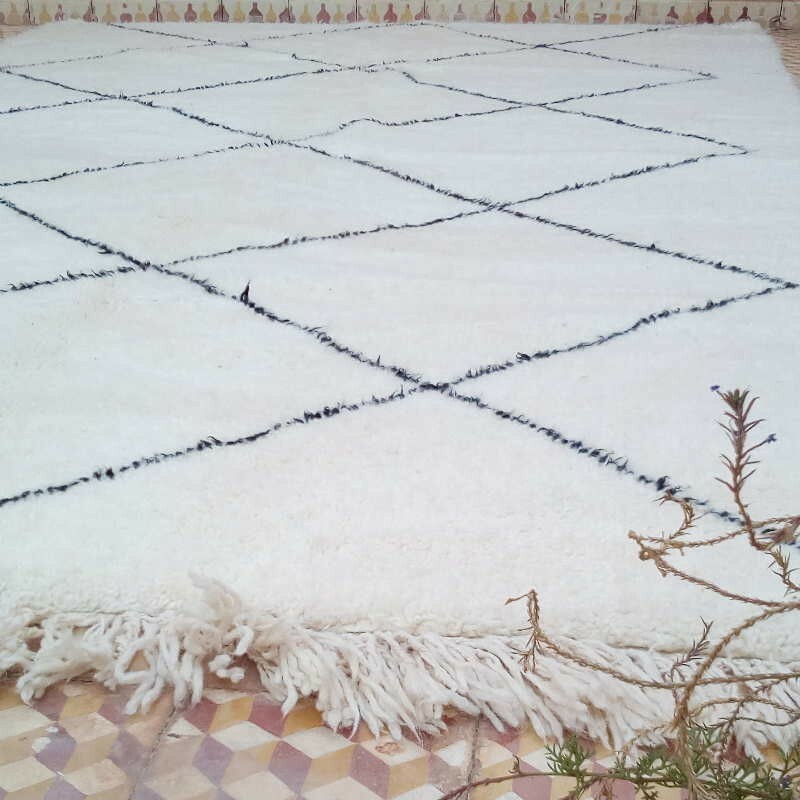 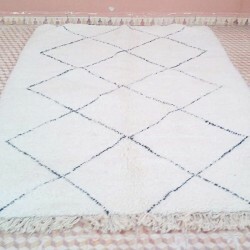 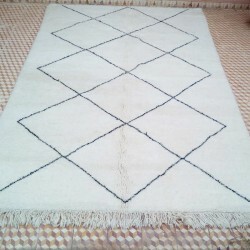 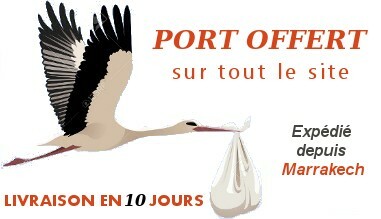 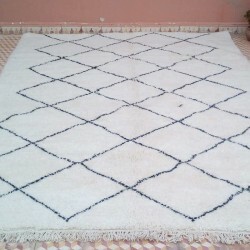 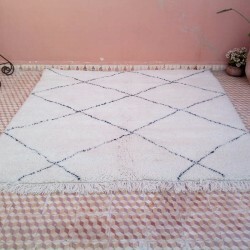 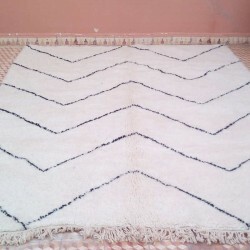 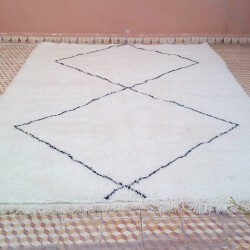 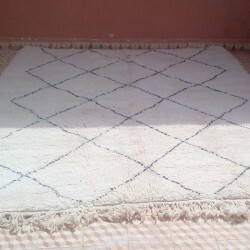 Beni Ouarain rugs come from the Morocco Middle-Atlas where they are hand made at home. 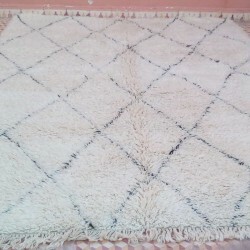 The sheeps provide a nice wool. 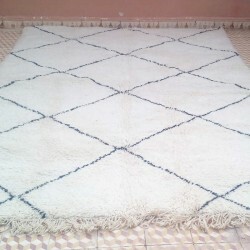 Sheeps and goats spend a long time across the mountain. 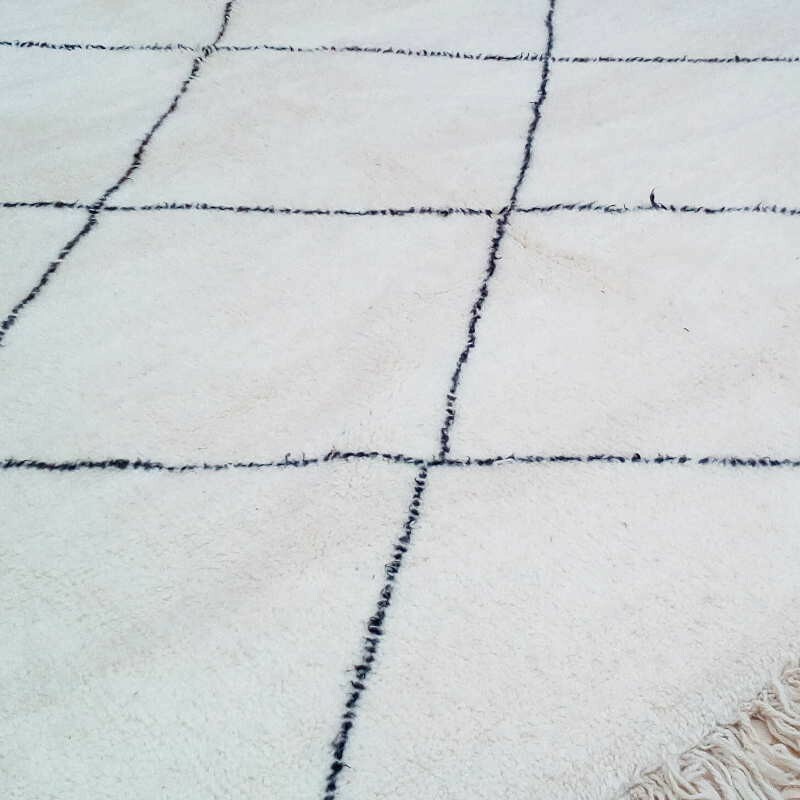 Their wool is very sweet and of high quality.